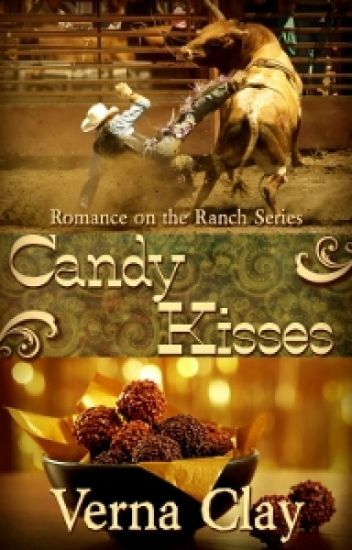 After posting three books in my Romance on the Ranch Series, the last one being Baby Kisses, I knew I had to post Candy Kisses. The reason is because books three and four are intricately intertwined and I'm positive that the heroine selected for Candy Kisses, first introduced in Baby Kisses, will shock most readers. Let me know if I'm right. This book is dedicated to those who have suffered taunts from bullies. Felicia for her wonderful proofreading skills and encouragement. Morgan Weston is fragile both in body and spirit, and I had to listen with my heart to understand her. Tyce Brandon is a complex man of substance, but also fragile in spirit. Both characters have suffered terribly--physical limitation and scars being obvious for Morgan, emotional scars for both of them. Can two such damaged souls find redemption in each other? "Verna Clay writing as Colleen Clay. Be sure to check out romance stories by Verna Clay"
Although born into wealth and privilege, Cecelia Brightman has never found the forever-after kind of happiness she seeks. She has devoted her life to helping others through charity work, but now she can no longer continue along the same path. Much to the chagrin of her parents and friends, she leaves the trappings of wealth to follow her heart to the small town of Paxtonville in Colorado to be near her brother and his large family. Connor MacKenzie is carrying baggage from a previous sorrow that almost destroyed him. However, Cecelia Brightman, the new owner of the local coffeehouse, is rocking his lonely world. Charity Ford is a Registered Nurse, and widowed mother struggling to raise her 1 year old son, Michael. Obsessed with finding her husband's killer, Charity took her vacation to learn all she could about what her late husband, and Army Ranger Lt. Eli Ford was into. Sheriff Kyle Blanton and his K-9 partner, Pandora (Pan) are also hunting this mad man who was wanted for more than just murder. Having a psychic gift with animals he's able to communicate with them gaining information and insight no one else is privy to. He's determined to protect his best friend's widow and their son. This tough little lady that he has known since they were kids doesn't make it easy. Making this task even more difficult is the fact that they never really got along. However, working along side her childhood heart throb, is easier said than done. When Kyle is nearly killed as he tries to protect the woman he has always loved, Charity faces a terrifying decision. Can she trust this man with not just her life, but the life of her son as well? But, how can a former-Ranger/a cop with one leg protect her from a mad man? Well, she's about to find out that it's his Faith and inner strength that make him who he really is and not his battle scars. This is the second story in my 'Breaking' Series. Jacob Atkinson is lonely and longs for a woman he can call his own. Then along comes Alice and she is just what he's been waiting for. The only problem is her names isn't really Alice and she is a con artist who is used to making men fall in love with her and taking evyerthing they had. Will she be able to keep her secret under Brody's watchful eyes and will Jacob's love and the love of his family finally be enough for her to change her ways and reach out to them for help? Tooty Townsend bore a child at the age of sixteen. Now, four years later, she has her hands full raising Harris and trying to make a living. An unexpected job interview happens when Sarah Tanner, stepmother to Tooty's best friend, Julie, recommends her to reclusive author Maxwell Henry as a personal assistant. Unfortunately, Harris climbed onto the guy's lap at her friend's wedding reception and asked for a ride in his wheelchair. Then he asked him to marry his mommy and become his daddy! Tooty needs a job and she's swallowing her pride to apply for this one. For over two thousand cycles of the sun, Roth Beowolf has completed missions as a Shapeling Protector, but the successful completion of his current assignment will usher him into the ranks of Shapeling Master. The Thirteen co-Princes have sent him to act as bodyguard to Rainey Childress, spoiled heiress and brilliant scientist. This decisive mission is possibly turning into his worst. As the only child of Harold Childress, founder of Childress Enterprises, Rainey Childress stands at the brink of an amazing discovery using frequencies to alleviate untold suffering. Because of her work and her heritage, bodyguards are a way of life; however, Roth Beowolf is turning into the bodyguard from hell...or is that heaven? Mims Murphy a.k.a Sarah Carter, meets Sage Tanner at Imaginings Publishing while he's posing for the cover of her soon-to-be-released romance novel. After being bulldozed into a coffee break with him by her publisher, Sissy Johansen, an embarrassing incident makes Sarah furious, and she walks out. Of course, fate has a wonderful way of intervening in matters of the heart. Deciding her book needs realism, she signs up for "dude" lessons at Lazy M Dude Ranch. Imagine her chagrin when she discovers the owner of the ranch is none other than Mr. Tanner himself! Ann Hackstetter first met Jackson Martinez while vacationing at Lazy M Dude Ranch with her husband and teenage son. Part of the "dude" package was a night of fun at Boot Bustin' Barn. At the time, Ann suspected that Sage Tanner, owner of Lazy M, bribed Jackson to ask her to dance as a way of making her inattentive husband jealous. On a whim, she danced with him. Little did she realize he would awaken emotions long suppressed. Of course, she ignored those emotions. Now, five years later, she's a widow--a destitute widow. Over the years, her son's friendship with Sage's daughter, Julie, has blossomed, and now they're getting married. Wedding responsibilities have temporarily taken Ann's mind off her desperate situation. At the reception, Jackson asks her to dance again--reawakening those emotions. He makes her feel twenty-one, instead of forty-one. Jackson Martinez has an easy way with the women, but the one woman who sets his heart to racing is Annie Hackstetter. She's older than him, has a grown son, and probably has an aversion to men after being married to a jerk. When Sage reveals Annie's sad state of economic affairs and says she's looking for a job, Jackson knows his heart is in trouble when he offers her a position managing his household so he can concentrate on running his cattle ranch. Little does he know, or anyone else, that Annie has a secret.